Probably the most common quandary you’ll face is this age old bone of contention. A good DJ will know how to read a crowd and will be armed with the perfect tracks to keep the dance floor alive. They can often be more cost effective than a live band but can also be less engaging. If you want to hear all your favourite tracks on the night then a DJ is a great choice as they are extremely accommodating to your tastes! A live band however is a real focal point of an evening celebration. It’s nice to hear your favourite tracks, but to hear them performed live… that really is something special. In an ideal world we would want both a band and a DJ! Of course this isn’t always possible but is still a popular option. A worthwhile and equally popular compromise is to let your band provide the DJ service on the night through a pre-mixed playlist. 2. How soon should I book my entertainment? There is absolutely nothing worse than having your heart set on the perfect act for your wedding, only to see your dream slip away because they’ve suddenly become booked up or unavailable. Booking as early as you possibly can to avoid this is absolutely crucial! Put it up there in terms of priority alongside your venue, your photographer, your caterers and florists. Most acts are booked up over a year in advance for key dates such as summer weekends, so make sure you get your first choice and aren’t left feeling disappointed. 3. What parts of the day should I have entertainment? Excluding the obvious ones such as the evening party where things really kick off, the wedding ceremony is a really important part of the day that can be immediately enriched with entertainment. Setting the scene and walking down the aisle to live music is a magical moment. Think classical notes such as harpists, pianists and even string quartets. Choirs are also a really surprising and memorable option here and it’s something your guests will talk about for the rest of the day or years to come! The rest is all about filling that downtime in between segments of your day, ensuring your guests are engaged, happy and enjoying themselves. If you’re worried about who will look after your guests during your drinks reception or when you are having your photos taken, an entertainer such as a caricaturist, stilt walker or even a lookalike can do this for you. As well as this, they are great ice breakers and real talking points for guests. 4. Have I booked enough/too much entertainment? Quality over quantity should always reign supreme. Yes we know it sounds crazy but there is such a thing as too much entertainment! When wedding entertainment is used correctly it should seamlessly fit in to the flow of your celebrations, not stick out like a sore thumb or overshadow your big day. If you throw the kitchen sink at your wedding, you have to make sure that all your entertainment compliments each other and the day itself. You’ll also want to get the most out of your chosen entertainment. For example if you’ve booked a magician, let them work the room without having to battle it out for attention against 2 or 3 other entertainers at the same time. On the flip side, there is nothing worse than a snooze-fest of a wedding. If you want your guests to have fun and to remember your big day, entertainment is a must! Getting this balance right is about filling those gaps and lulls in your day. Look towards something fun like a magician or a caricaturist to thread the day together and give your guests something to smile about. 5. How can I make sure my entertainment will fill my dance floor? The part of the wedding that keeps most couples up at night is the dreaded ‘tumbleweed on the dance floor’. Firstly, the best bands or DJ’s are renowned for filling dance floors time and time again. After all, it’s what they do! This doesn’t mean however that you can’t be pro-active in getting people up and moving. Most importantly you need to lead by example. Your guests will follow in your footsteps so get together a little dancing posse and start throwing some shapes! Also, don’t start your party too early. It’s tempting to get things moving as soon as the guests arrive for your evening party but trust us, if you can hold fire for that little bit longer it will make a whole lot of difference as you’ve let the anticipation build nicely. 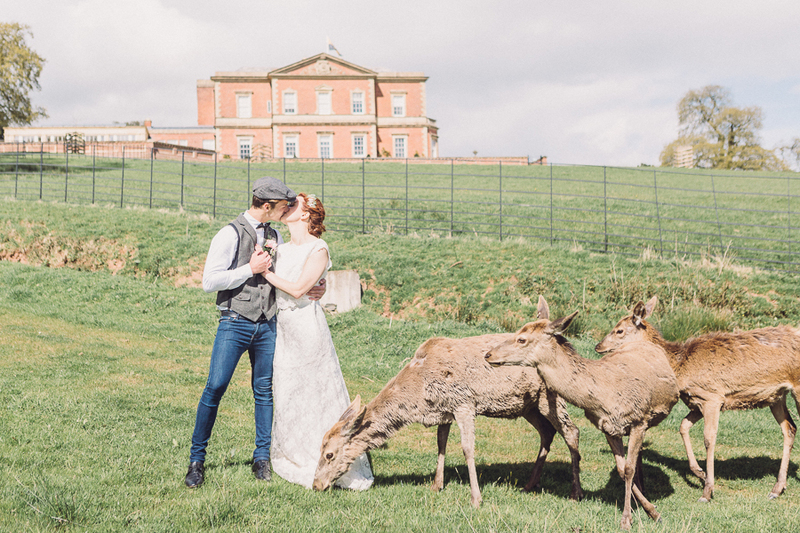 Images by Shane Webber Photography – watch out for more from this beautiful day coming up on Thursday!